When looking for a quick snack to help boost your energy, say no to sodas, candy bars, and processed foods. Although easy for on-the-go, these snacks are full of empty calories, artificial sweeteners, and leave you feeling even more sluggish when they wear off. The good news? There are many quick, easy snacks which are healthy for you. With any of these 10 best energy boosting snacks you will have all the energy you need to tackle the day and feel great doing it. Yogurt and granola. The combination of granola and yogurt are a perfect pair for healthy energy boosting snacks. If you like your treat a little sweeter, add a dab of honey or fresh fruit such as blueberries which also boost energy and promote brain function. Whole grain crackers and hummus. Whole grains are full of complex carbohydrates and can be some of the best energy boosters out there. Hummus is high in fiber which helps put a stop to those hunger pains. Combine these two for a healthy and tasty energy boosting snack. Bananas and peanut butter. Bananas are rich in potassium and will leave you feeling full longer. Combine about half a cup of sliced bananas with one tablespoon of peanut butter to give yourself a low calorie energy boost. Sprinkle with sunflower or flax seeds for added fiber. Leafy greens. Greens such as spinach, kale, and romaine lettuce not only give you an energy boost but are also mood-enhancers. 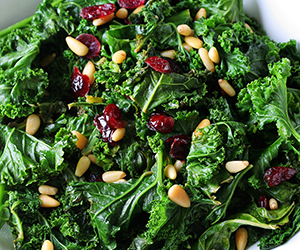 The nutrients found in these greens are linked to lowering depression. Grab a small salad with a little of your favorite dressing. Adding other vegetables such as carrots, tomatoes, or peas will make your salad more exciting, or toss your leafy greens into your smoothies. Whole grain, high protein bars. For a fast and easy boost on the go, grab a protein bar. For maximum healthy snacking choose bars that have less than 15 grams of sugars and contain 5 grams of protein and fiber. Nuts. Choosing a handful of nuts for a snack will give you a protein-packed treat that provides an energy punch. And the varieties are endless, cashews, almonds and walnuts are just a few of the best types of nuts to try. Half of a turkey sandwich. Many people think that a snack has to be snack type foods when in fact half of a lean turkey sandwich on whole grain bread makes a perfect energy boosting treat. You will get your energy boosting carbs along with the filling protein you need from your snack. Popcorn. This is a great snack because it is packed with fiber, leaving you feeling full. It is easy to prepare and you can find the single-serve bags which is great for portion control. Look for plain or low sodium varieties and sprinkle pepper to taste. Fruit. If you have a sweet tooth, snacking on fruit is the perfect substitute for candy. Apples, grapes, berries, melons, mandarins, and mangos are some of our favorite. If you need a sweet option that won’t spoil like fresh fruit, try dried fruit instead. Salsa. For those that love a little spice in their life, fresh salsa is perfect for snack time. Salsa is bursting with antioxidants that are great for the skin and immune system. Try dipping your favorite veggies or tortilla chips in fresh salsa or use salsa as a topping to salads, omelets, meats, or soups. Making smart snacking choices will help boost your energy throughout your busy day. So snack happy fit friends!